Posted by Shelley Grell on September 9th, 2013. 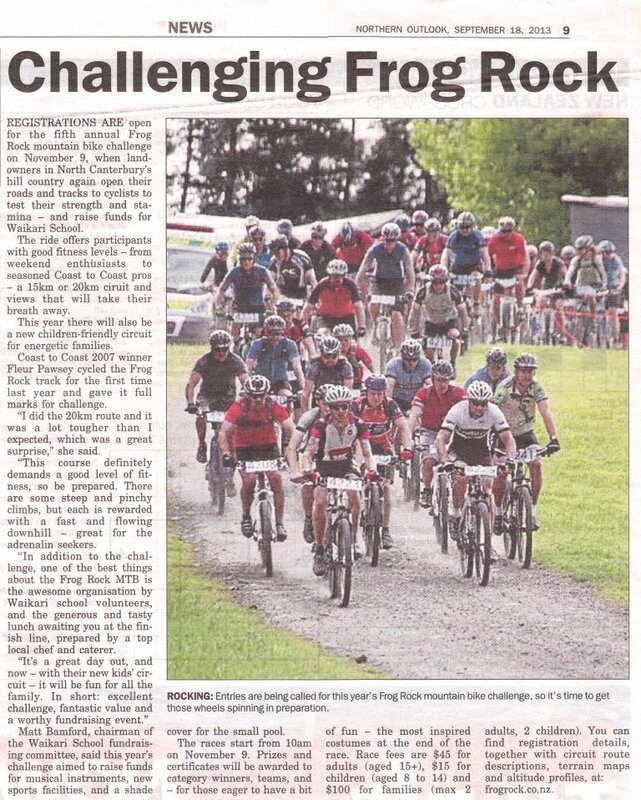 Press release, Waikari School Fundraising Committee, 9 September, 2013: Registrations are open for the 5th annual Frog Rock mountain bike challenge on Saturday 9 November, 2013. Private landowners in the beautiful limestone hills of North Canterbury will again reopen their roads and tracks for cyclists to test their strength and stamina, all for a good cause – to raise funds for their local Waikari School. 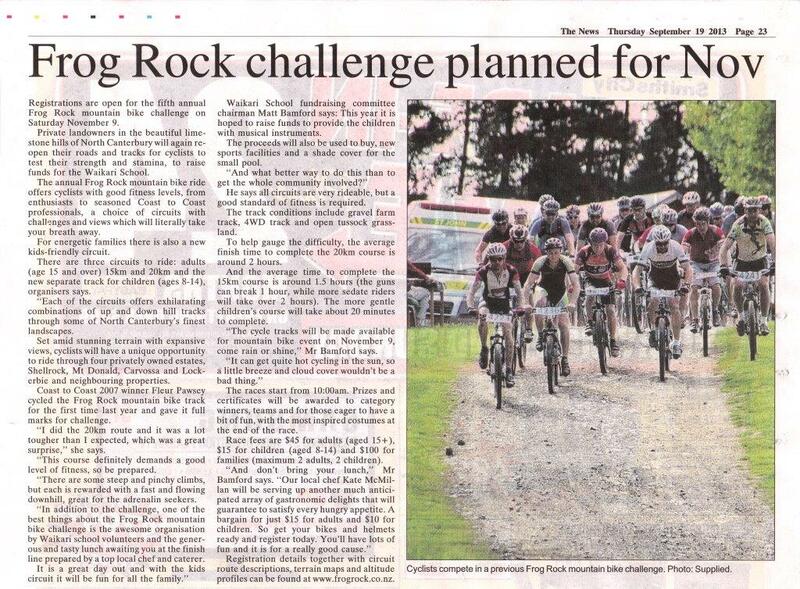 See the coverage: The News, Northern Outlook, Vorb, EventFinder, Scoop, InfoNews, OnlySport, VisitHurunui, BikeRide, CyclingNZ, NZ Star, NZ Tri, and more!